They say you are what you eat, and the same can be said about what we wear. The accessories we choose to adorn ourselves with convey a clear message that speaks volumes about our beliefs and values. So what does your purse say about you? We have all heard the alarming statistics, Rainforests are disappearing at the rate of thousands of square miles per year. According to the Global Footprint Network, we would need 1.6 planets to keep up with the ecological demand human beings place on Earth. GFN has come up with a system of measurement called Earth’s Overshoot Day. This is the day, we as a planet took more from nature than Earth can renew in one year. In 2016 that day was August 8, just a decade ago this happened in October and ten years before that it fell in December. There’s a startling pattern here. In 8 short months, we are using a year’s supply of resources, over-fishing, over-harvesting and emitting more carbon dioxide into the environment than our forests can sequester. During an interview with CNN, actress Emma Watson spoke out about the importance of the impact that fashion has on our planet, stating,“The fashion industry is the second biggest pollutant of fresh water on the planet”. She is among a large group of trendsetters who are using their celebrity status to encourage the public to look good and feel good but also to do good. In the famous words of The Lorax, a charming little creation of Dr. Seuss who helplessly watches as the Once-ler destroys the Truffula forest, we too must speak for the trees. 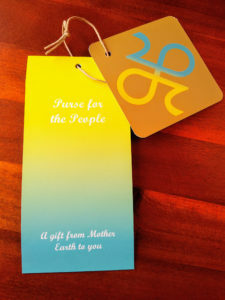 Carole Murphy, founder of Purse for the People is the true definition of a social entrepreneur. A former dentist who found herself driven by a mission to raise awareness and create fashion that is as she puts it, “as beautiful on the outside as it is on the inside”. 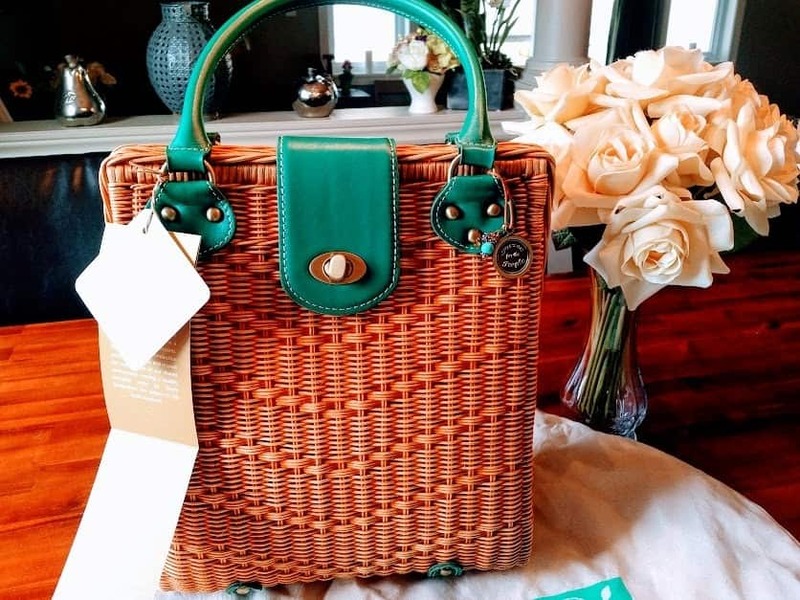 Partnering with the Rainforest Alliance – Carole began chasing her dream of manufacturing a fabulously sustainable, customizable and indestructible handbag. Aligning with the Rainforest Alliance means stronger forests and healthier communities. 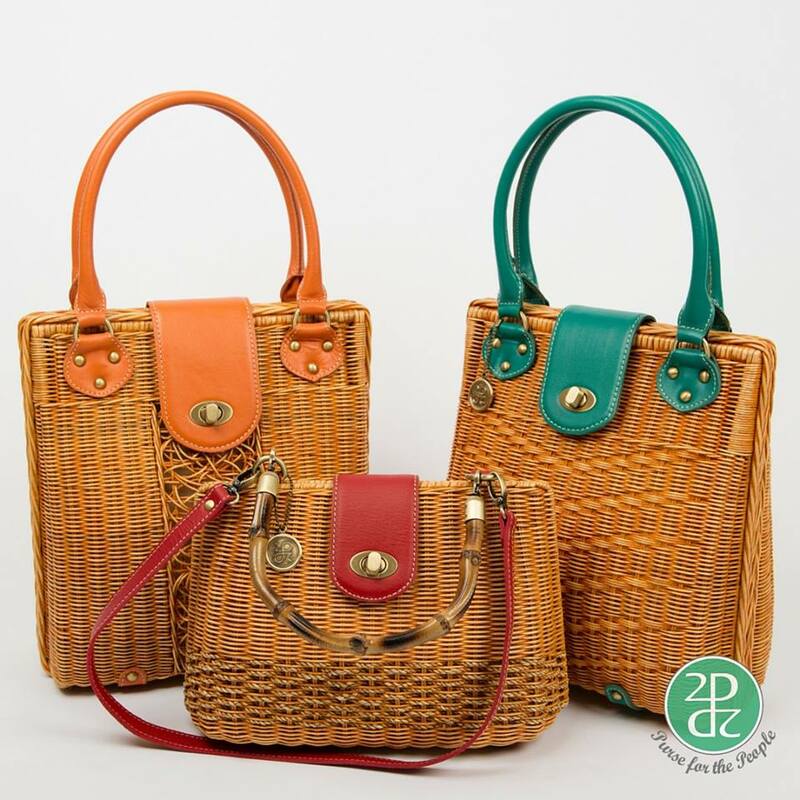 These purses are made with Rattan, a naturally renewable climbing vine found in the Rainforest. 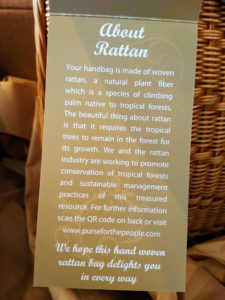 The majority of the world’s rattan is found in Indonesia. 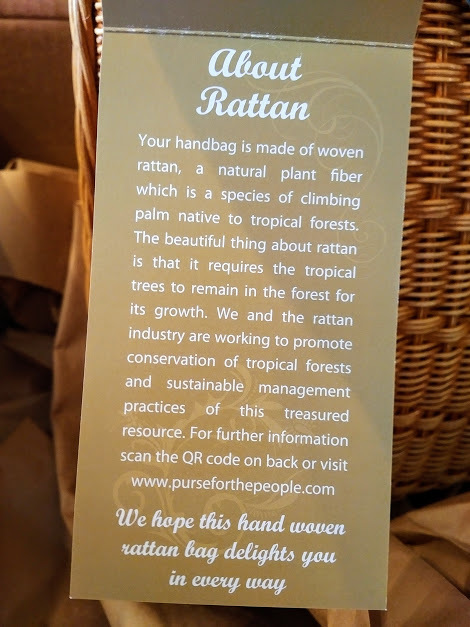 Rattan harvesting offers an alternative to timber logging, indirectly protecting Rainforests from deforestation. No trees. No Rattan. 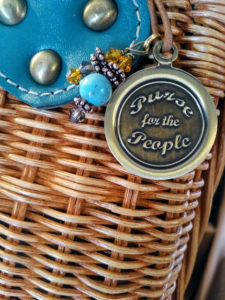 “These wild plants partner with the trees like Purse for the People has partnered with the people of Indonesia” – Carole Murphy, Founder of Purse for the People. 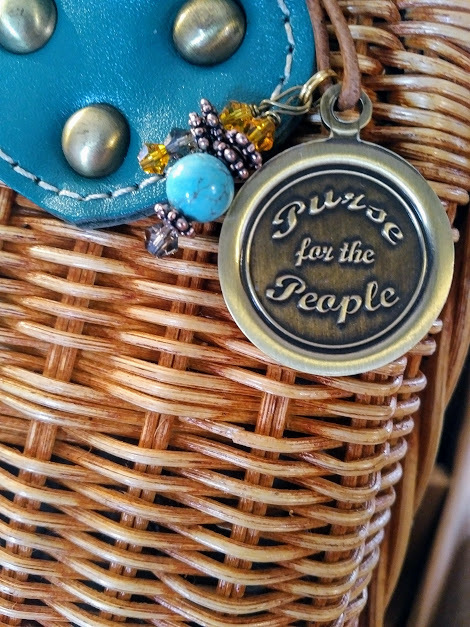 Purse for the People allows you to customize an eco-friendly handbag that is not only good for the planet but also the local economy. 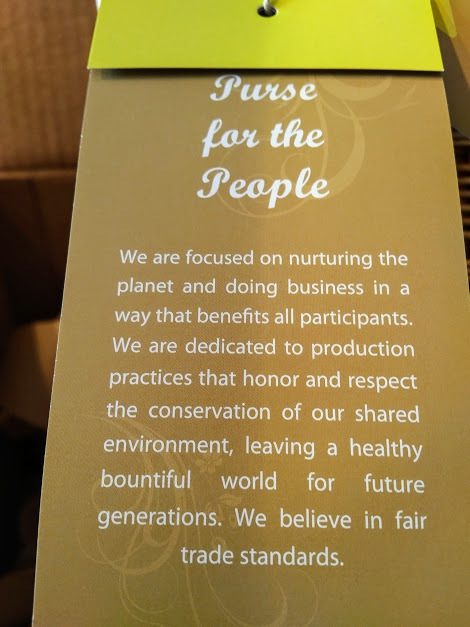 While the materials used are sustainably sourced in the Rainforest, these purses are assembled with care in the USA. 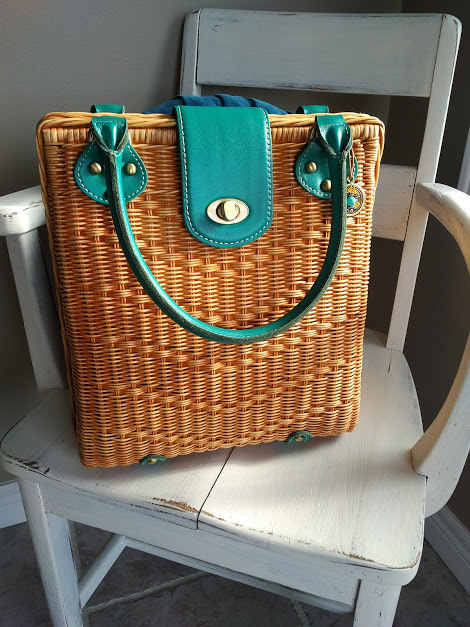 With confidence, Carole sent us one of her rattan bundles of joy so we could test it for ourselves. What we received was everything she described and more. The Juniper is one of the Grande size bags. For its’ size, it is lightweight and we can also affirm that it is extremely durable. Inside are 4 pockets for organized storage as well as customized compartments for keys, sunglasses and a smartphone. The rattan gives these bags a sunny, warm disposition which is complimented with the brass hardware and ornamented jewelry. Designed in a fashion that will never go out of style, it’s attractiveness is as durable as the design. Everywhere we went with this bag we received compliments and inquiries. 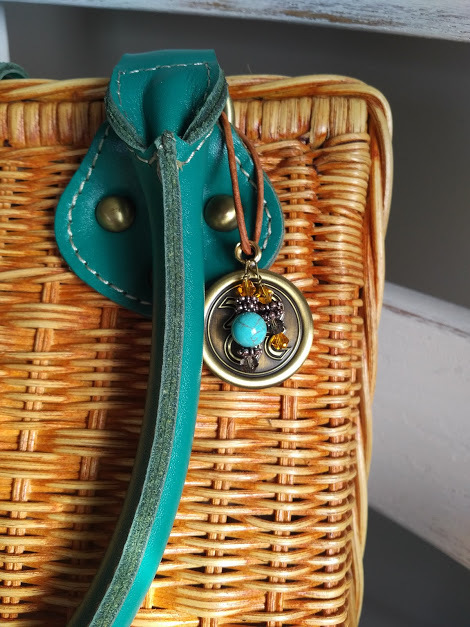 Telling the story behind the purse, while watching curiosity turn to inspiration was just as fun as toting this one of a kind beauty. 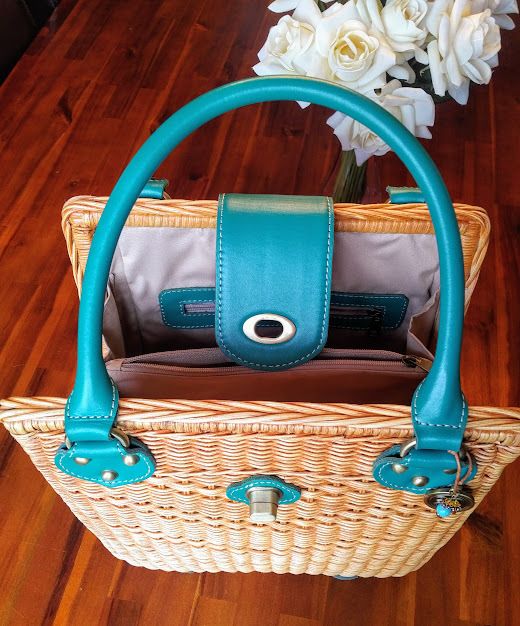 For most of us, it has become so much more than just carrying around a bag. It’s the message we purvey and the feeling that it gives us. 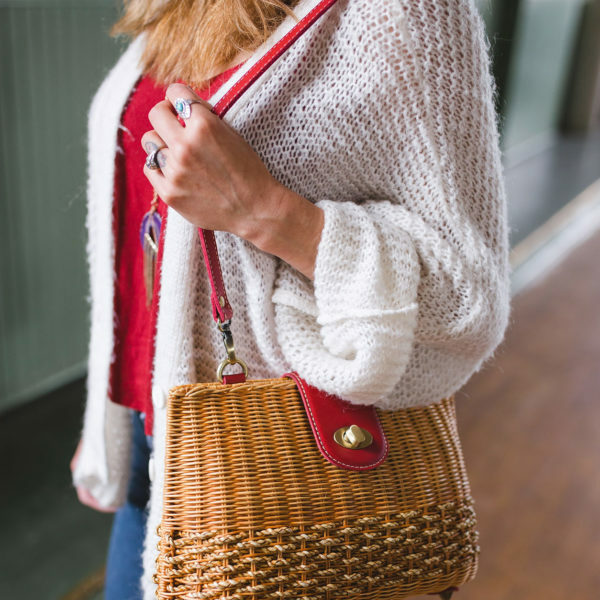 A pride that we can look amazing with this purse on our shoulder and feel amazing about our part in reversing the strain we have put on mother earth. 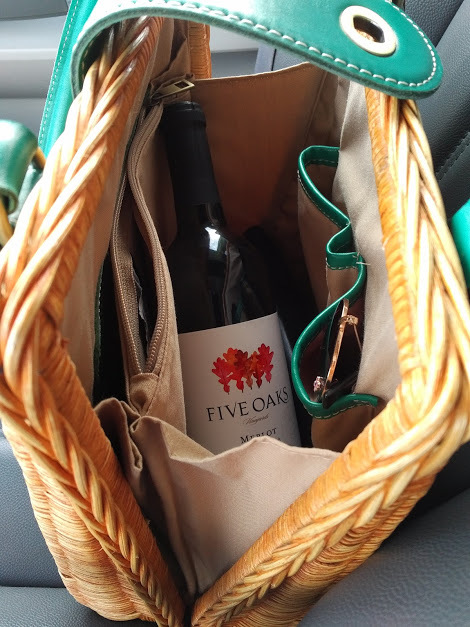 Can I also admit that two of my favorite moments with this purse included the fact that I could fit a bottle of wine and my favorite book inside? 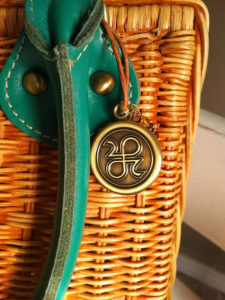 The hard, durable exterior of this handbag makes fitting anything inside a breeze, without compromising the shape of the bag itself or its ability to close. Carole continues to look for ways to bring her message and her beautiful accessories into the limelight, where they belong. On Earth Day, April 22, Purse for the People will be launching Designed by You an opportunity for you to design your own handbag in 3 easy steps. Now you can have a handbag that not only speaks volumes about your own personal style and taste but about the beliefs you stand behind. Congrats Cindy! And thank you to all who entered. Stay tuned for more. Comment below – How are you personally working towards being more eco-conscious? Receive a bonus entry for following us on Instagram @TryBelleMag and commenting on our “Purse for the People” Giveaway post. Giveaway contest is open to entrants with a USA shipping address. Giveaway contest begins at time of publication: April 20, 2017 and ends May 4, 2017 11:59pm EST. Winner(s) will be randomly chosen and notified by email by May 11, 2017. Winner(s) must reply to notification email by May 18, 2017 11:59pm EST. This is a sponsored post and your gift comes directly from Purse for the People. Beautiful to look at and made with the planet in mind. It’s a win win. 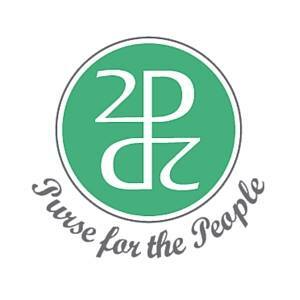 I’d love to try a Purse for the People purse. Im trying to recycle more often, instead of buying plastic water bottles I have one that I bought that can be reused, and instead of lunch bags we throw away we use things that can be washed and reused. I am working on being more eco-concious by recycling and using less paper products. I recycle a lot more now. I have a large market bag/box that I keep in my car and use at the grocery store and I have 2 compost bins to recycle coffee grounds and veggie leftovers. We’re glad our town encourages and supports our efforts to recycle paper, metal and plastic. (Our local Target store also offers a drop-off spot for our glass items.) We also use our own cloth shopping bags, reusable food containers and lunch bags. Allowing natural light and fresh air into our home through open windows reduces our electricity consumption. One of our favorite (and fun) eco-friendly efforts is shopping for clothing and various household items at our local mission thrift stores! I ride my bike or walk whenever I can. I also re purpose clothes, use a water bottle, recycle and grow a garden full of flowers for the bees and food for my family. I am always trying to reduce my footprint. I recycle, I provide for animals and nature,use cloth bags when shopping,conserving water,etc. I recycle a lot and teach anyone who cares to know how to recycle efficiently and effectively. We compost, recycle, reuse, upcycle and take my kids to pick up litter. It is about making the right choices to reduce your impact on the planet! 1We plant our own garden yearly and share crops with friends. 2we recycle and my daughter has even taught a kindergarten class about recycling and made milk jug bird feeders and recycled items lawn ornaments with them. Plus i like recycling / refurbishing old furniture to reuse in my home. And before we throw things away we see if anyone we know may get use out of it somehow or if it could be donated to goodwill. I love what you stand behind and it is absolutely beautiful. I recycle all the time and try to upcycle whenever possible. I love looking at flowers in art pieces. Thank you so much for the offer! I shared on Twitter as iceyninja!! I have a xeriscape lawn and recycle as much as I can. Recycling and walking the trails in my community parks to honor nature and the Pacific Northwest. We compost to save space in the landfills. We recycle all aluminum and I’m learning other ways to recycle but I’m not sure if the ways in learning are available in our area yet. These bags are beautiful. The article made me more aware of the planet and its beauty, I recycle now, but i am going to do more as much as I possibly can. When I saw the puse,for real, I fell in love with it. and even more the story that was behind it. Amazing ! I’m a school librarian and teacher, so I promote eco-consciousness to young people through books and activities. I try to be a good example for them in all I do. We compost and recycle almost everything, we only produce about one bag of trash a month. I work to be more eco by recycling more than throwing items in the trash. Also I reuse the back of paper as scratch paper. Never been wasteful. Anytime you can reduce reuse or recycle you also save money! Love the purse. Thanks for the sweep. I recycle with paper, cans and magazines. I prepare meals that do not have leftovers as to not waste food. I also discard clothing and shoes when I purchase a new item of clothing and shoes. We reduce, re-use, re-purpose. We compost everything we can and use it in our gardens. I am very environmentally conscious and recycling is a way of life for my family. Living sustainably has been important to me for many years. From composting and growing an organic vegetable garden in my small backyard to shopping at thrift stores and recycling everything I possibly can, my family works hard to reduce our footprint and take care of our planet. I have been walking more and driving less. It’s easy to walk to the post office or the bank and saves a trip in the car. Weekly shopping trips won’t work, but when I need to pick up one or two items I walk to the store. It’s eco-conscious and healthy. We try to reduce our carbon footprint by reusing and recycling. We also donate what we no longer use or need. 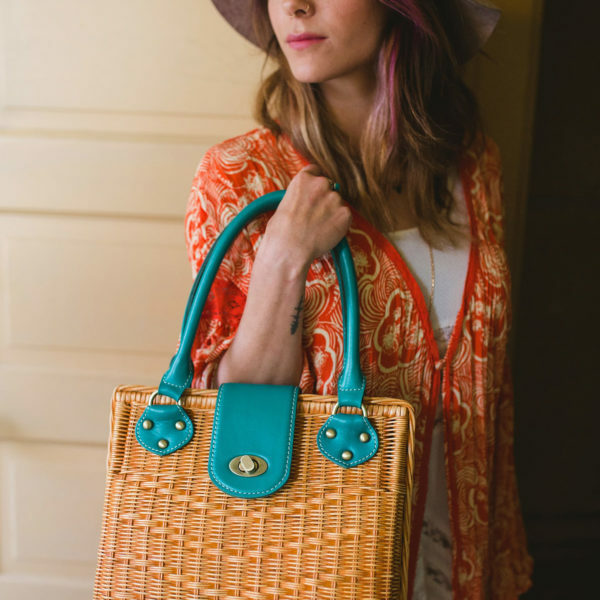 I love these fabulously sustainable handbags! They are beautiful! i have a small organic garden, i recycle, buy vintage clothing and bags, as well as furniture that i refinish instead of buying new. i also avoid fast fashion and buy things to last. I recycle everything the recycle center will accept from paper to lightbulbs. I shop at Good Will and other consignment stores in an attempt to reuse items rather than force further production. If I could afford a car that ran on something other than gasoline, I would buy it. It’s time to make eco-friendly affordable. 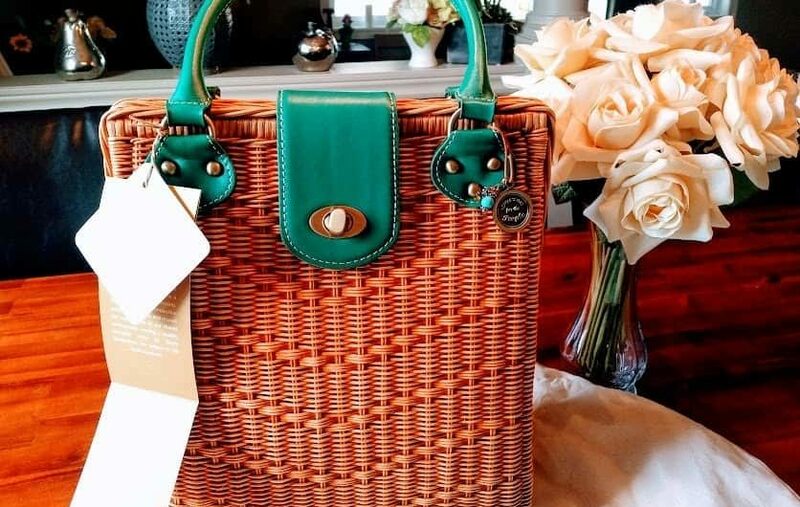 I would love to win this purse to proclaim the importance of sustainability to the world around me. Namaste. We are very environmentally conscious in our home. We recycle. reuse. re-purpose or donate as much as possible. We pick garbage when we take walks and do the same when we scuba dive. We buy 1st at thrift stores, garage sales and fleamarkets. I’ve been recycling for many years & will continue to do so. I also just recently started to plant which I love doing ! I work to bring my own mug, drink out of Mason Jars and bring my own containers if I go out to eat to take leftovers. I read the book “Plastic-Free” by Beth Terry and though I don’t do all of the things she suggests, I have done what I can. 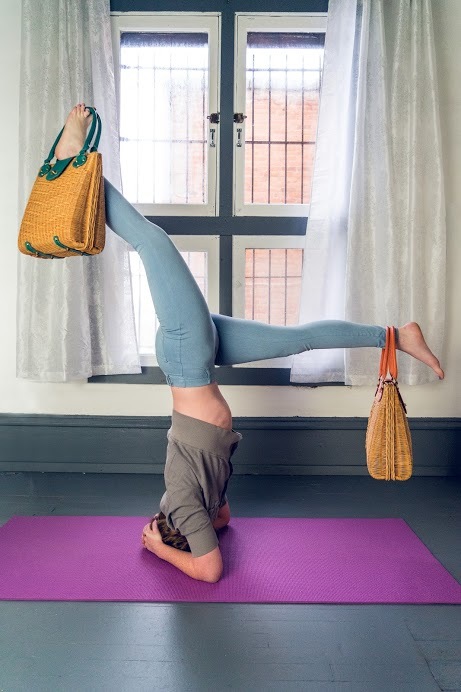 (https://myplasticfreelife.com/) I loved her idea of using “Chico bags” made of light parachute type material. They are incredibly strong and have lasted me years and years. They are tiny and I can fit them into my purse and take them out when I need them for groceries. At home we try to buy things with the least amount of packaging, we always recycle and compost. I try to recycle a little more every year. We are really working on saving energy. Turning off lights. Watching what we set the thermostat on. Most of all, recycling! I would love to try this really neat and environmentally friend purse!!!! My mom has a deadly blood disorder, without a cure. She is a disabled senior citizen. Your purse sounds amazing and really cute for any clothing style. I’m trying to be more eco-conscious by donating my gently used items to local charity re-sale stores as well as recycling, re-using, composting and conserving water and electricity. We have a small garden. We collect rain water to water our garden. We recycle our plastics. We drive less. I’m trying to be more eco conscious by recycling more. I have developed my own garden, using only natural, earth-friendly fertilizers. I USE REUSABLE SHOPPING BAGS AND I DO NOT BUY BOTTLED WATER. Our family has recently started using a compost bin. And, a while back we made recycling a part of our everyday lives. Many years ago no-one thought anything of filling the landfills – I am elated that finally the entire world is becoming eco-conscious. We plant trees, flowers and bushes every year, recycle all that we can possible from plastic, glass, paper, cardboard, used clothes (donations or giveaway), reuse shopping bags, use earth-friendly cleaners, wash on cold, turn off lights and energy not being used. We compost daily although most goes to the wildlife to be honest. We even use eggs and coffee grounds for soil and plants. We use reusable bottles for water and drinks – no plastic. We also use cloth napkins, cleaning clothes (old diapers) and try and stay away from paper. We reuse printer paper by turning it upside down and recycle ink carts. As far as K-cups – we buy the ones that are earth-friendly and also use the washable ones. We always wash a full load of clothes and dishes (hand washing most). We take showers instead of baths and turn off the water when brushing our teeth instead of running it. There is so much that everyone can do to reduce their carbon footprint. We also try and teach our children and other children about recycling and the importance of it all. myself and my children are learning to plant our own vegis. i am teaching them that the earth does not need us but we do need the earth so we must take good care of her. I try to buy eco friendly products. We try to recycle often! We try and up-cycle many things as older furniture and such. We also compost and recycle and catch rain water. I’m an Earth Day baby, so I’ve always been working towards living a lighter lifestyle. I’m really into the Zero Waste movement, although I try to find balance. Balance and full picture sustainability is key! I try to be economically friendly. I recycle. I also reuse my water bottles. I recycle and give a lot of thing’s to goodwill so other people can enjoy them. I’m recycling more instead of using water bottles!! The purses are beautiful!!! I am trying to be more eco and budget friendly by bringing my own coffee and lunch to work instead of buying things on the road. I’m eco-conscious by being a vegan! Thanks for offering this nice giveaway! I’m not working to be more eco-conscious, I feel a life of luxury and happiness is far better than being eco-conscious. We recycle when we can and try to reuse bottles and bags whenever we are able. I love these purses and hope I can win one. Thank you! I work very hard to be Eco-conscious. My friends and I have clothing swaps. I haven’t had to shop in almost 4 years for clothes. We also like to use earth friendly products in our house. To be more eco friendly, we have looked into getting some solar panels for our house. We also got a new energy-efficient hot water heater. We also have a compost pile that I use when I am growing our vegetables. I time my showers and conscious of my water usage. Its the little things done daily that will be of great impact. Please let us all respect and be conscious of our actions toward the earth. I recycle more than I throw away and shop products for recycled packaging! I am one of nine kids and my MOM taught me how to do this well! I love my momma. I upcycle people’s trash and use it in my backyard. I made a nice planter out of an old woodstove, gutted lamps and lighting and replaced the original bulbs with solar lights for lighting in the backyard. I also have a vegetable garden, and I recycle. I try to recycle more as well as garden using organic products. 1. We recycle when we can and try to reuse bottles and bags. Absolutely. We recycle everything that we can. We also started a compost last year and I’ve had the most fun doing it. We have a recycle bin. a compost bin and trash bin. Very rarely do we have trash because everything can go in recycle or compost! I am also teaching my kids because I want my grandkids to be able to enjoy the wonders of the world also! Recycling, not being wasteful and shopping local are both important to me. Shared on Twitter and g+. I actually walk to most of my daily activities, turn off any unused power suckers, and recycle for many of my neighbor’s. We’re recycling, planting trees, and donating slightly used items to our local charity. I’ve been doing a lot to become eco-conscious!! I always recycle ALL plastic containers, I recycle card board. While driving if I see any kind of trash I ALWAYS stop to pick it up. Even if it takes me hours! I feel if 1 person can help & people see this then maybe they will join and it will make this world a better place. I no longer use any kind of Aerosol containers! I avoid driving if I can walk to where I need to go. Or ride a bicycle! Me & my entire family whom live with me & live in their own homes, no longer buy anymore plastic bottles of water. We now use a tumbler that we can rewash. I could go on & on I am sure! But these to me are the most important. Thanks so much for this AMAZING opportunity. I recycle as much as I can and participate in clean up days. I try to shower as infrequently as possible and greening our home. Carry my cups away if there is no recycling. I recycle as much as I can and I use eco-friendly cleaning products. My family used to go through a 24 pack of bottled water a week. We have switched over to a water delivery service and using reusable water bottles on a daily basis. Aside from recycling trash, I recycle my clothing by donating what I no longer wear. Along those same lines, I am trying to repurpose a lot of my clothing so I don’t tire of it and have to give it away. I’ve gone 6 months now without purchasing any new clothes. I recycle everything our family possibly can. We also try to find other uses for items in our home when they are no longer useful. I’ve been recycling since the late 70s, back when you had to load the items into your car and drive to the one recycle center in town! So much easier these days with curbside pick-up. Our can is always filled to the brim on pick-up days! It’s a win win to recycle more. I put my own bags in my car when I go shopping.